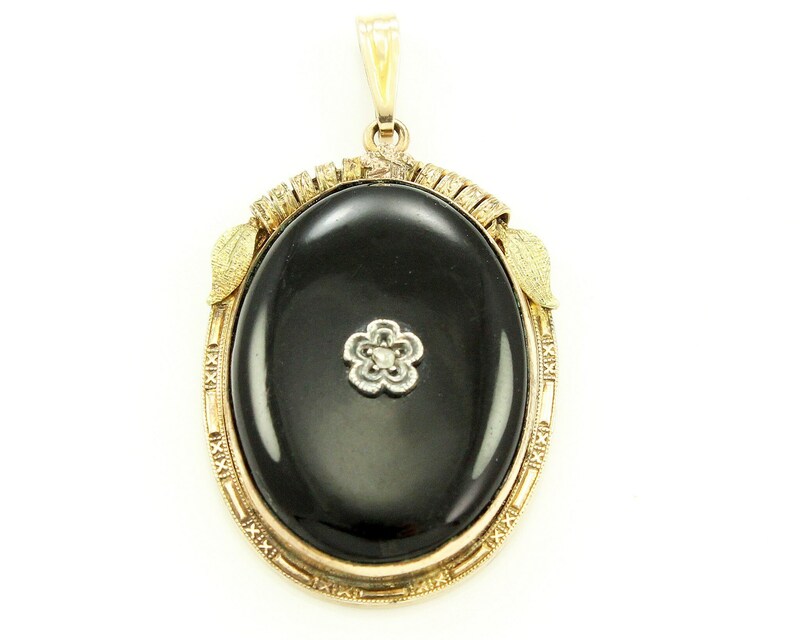 Vintage Black Onyx and Diamond 10K Gold Filled Oval Pendant. 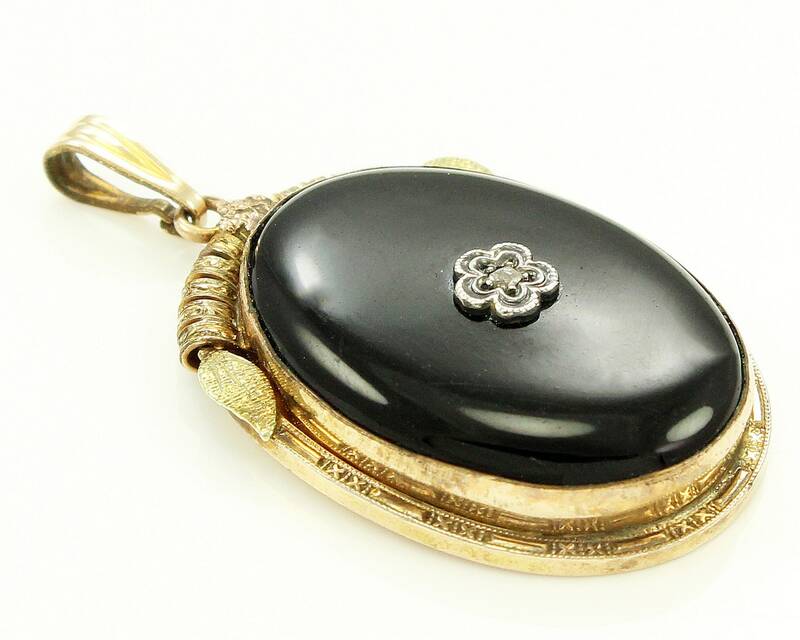 This Art Deco pendant features a rose cut diamond set in a sterling silver flower atop a black onyx cabochon inside a decorative rosy gold filled frame with stippled yellow gold leaves. Marked on inside of frame on reverse 1/20 10K A & Z.
HALLMARK/HISTORY: 1/20 10K A & Z, for A & Z Chain Company of Providence, Rhode Island. CONDITION: Very Good Vintage Condition with minor wear. 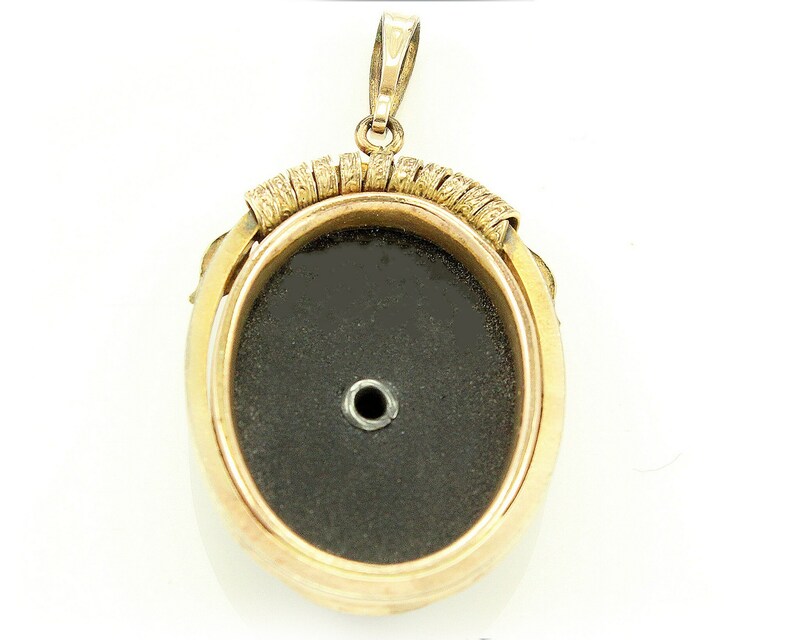 Previously owned and worn.